This volume is an exploration of the image that is the Traveller/Gypsy, the nomad, the migrant and the outsider/"Other" within the frames of articulation that are the present-day flows of cultural diaspora and mass globalisation. Mass-media dissemination and the combination of a range of complex social and cultural forces and movements have all served to rupture and blurr the borders of the post-Enlightenment, modern nation-state. Nowhere is this more evident than in the case of postcolonial diasporas such as Travellers, Roma and other "traditionally" nomadic groups, groups whose migrations have served to accelerate the reconfiguring of (hitherto) dominant cultural narratives. 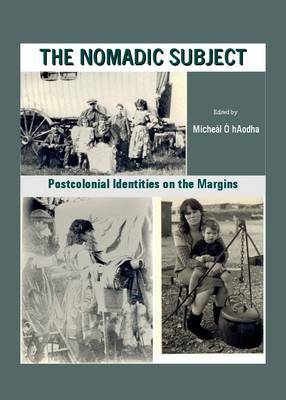 This book explores the manner whereby the migrant experience as relating to Ireland and as relating to Irish Travellers and Roma has been analysed and represented. While the essays in this volume have a particular focus on the experiences of Irish migrants and the people sometimes referred to as the "old Irish" or the "new Irish", they also have a strong resonance with other recent explorations of the hybrid and diverse discourses that are the narratives of many Western countries today.